This morning, when I was totally working and not watching YouTube videos, I stumbled across an ad that immediately caught my attention. If you’re a fan of the NBC show Parks and Recreation, it should catch your attention too. The distinguishable voice of Parks and Rec’s Ron Swanson, played by Chicago-area native Nick Offerman, describes five types of girlfriends that are hard to keep up with. 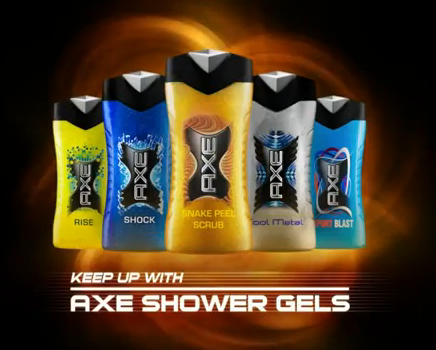 The idea is that Axe shower gel provides you with the invigorating ingredients you need to keep up with your demanding girlfriend. The humor is dead-on for the intended audience, Offerman makes the perfect spokesman, and while exaggerated, I’m sure many men out there can relate to these situations. I can’t speak for the product itself but I’m sure they perform admirably amongst men’s body washes; meaning they make you smell less like a gym bag and more like a decent human being. As for their revitalizing properties, I’m a little skeptical. Here is a link to the playlist with the five minute-long spots for each type of girlfriend (there’s a few other spots mixed in): sporty girl, flirty girl, high maintenance girl, party girl, and brainy girl. Embedded below is the minute-long spot for “Sporty Girl” which has one of the best lines of all the commercials. “Nothing says I love you like breaking the bridge of another man’s nose. Now hit the showers…and claim your trophy”.